You’ve probably heard of this thing called Facebook. You know, the giant social media network? It sees over 1.3 billion active users each day? Remember that one? Social media has proven to be a great way to increase brand awareness, build a loyal customer base and generate leads for small businesses. And no social media network is better than Facebook at making that happen. Unfortunately, Facebook has made it harder and harder for business pages to get the exposure they’re looking for organically. (Thanks, algorithm updates!) These days, you’ve got to pay to play, and that means running Facebook ads. There are two initial things you should consider when it comes to Facebook ads — your audience and your competition. Let’s start with your audience. We mentioned earlier that more than 1.3 billion people use Facebook on the daily, so it’s a pretty safe bet that at least some of your audience is spending time there. Your average Facebook user is somewhere between 18 and 50, and roughly 83% of women and 75% of men are on the platform. If you’re targeting moms in their 40s who are trying to make their routines simpler, you’re golden. Recent graduates on the hunt for their first jobs and maybe a new place to live? They’re definitely on Facebook. Really, the vast majority of companies in the B2C space is going to find that their audience is on Facebook and ready to see those ads! 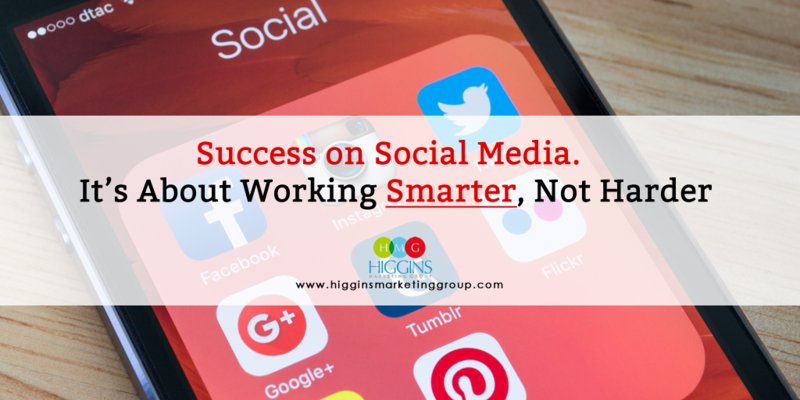 But don’t be fooled into thinking Facebook can’t be successful for B2B companies… it can. But the objective is typically different. Successful Facebook advertisers in the B2B space most often use the platform to facilitate initial engagement with a prospect. That may be through offering a free report, book or online webinar. Now let’s talk about your competition. This one is pretty simple. Do you see ads from your competitors on Facebook? Yes? Then you should give Facebook ads a serious look. If your competitors are using Facebook ads over the long term, that’s a really good sign that they’ll work for you too. They wouldn’t waste their time and resources if there wasn’t anything to gain from it. Plus, you don’t want them having an edge over you! Getting your own ads out there will give you the chance to increase brand awareness and win consumers over. 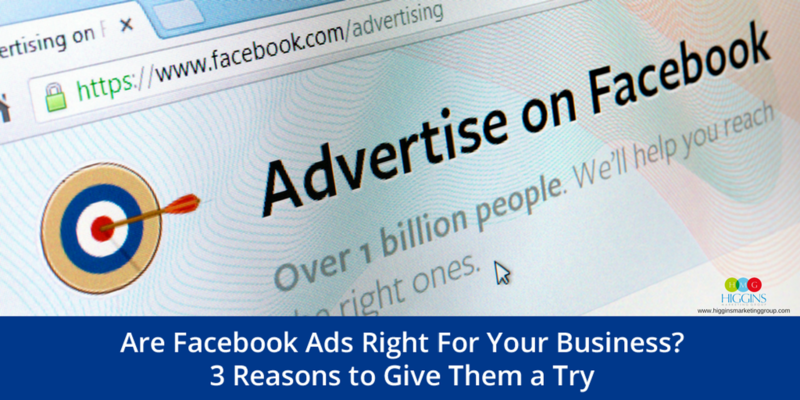 A lot of business owners can be skeptical of Facebook ads, but they can seriously deliver. Here’s how. One of the best things about Facebook ads is they are typically more affordable than other PPC options. When you’re a small business owner and you’re budgeting for marketing efforts, every penny counts, and Facebook will give you the most bang for your buck. We’ve seen campaigns running for as little as $5 a day (Facebook’s minimum spend at the time of this writing) return solid results. Facebook has provided some powerful analytics tools to help you measure the effectiveness of your ads. You can even run different versions of the same campaign to do a little testing if you’d like! You’ll see all the stats on clicks, engagement, a relevance score to tell you if your ad made sense for the target audience selected. If you think something needs to be tweaked, just hit edit. 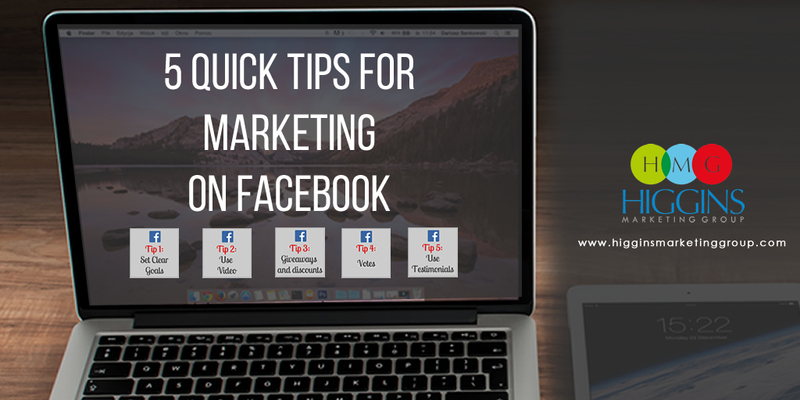 With Facebook ads, it’s really easy to swap out images, text and targeting options. So if you been toying around with the idea of using Facebook to promote your business, we’d encourage you to take the leap. 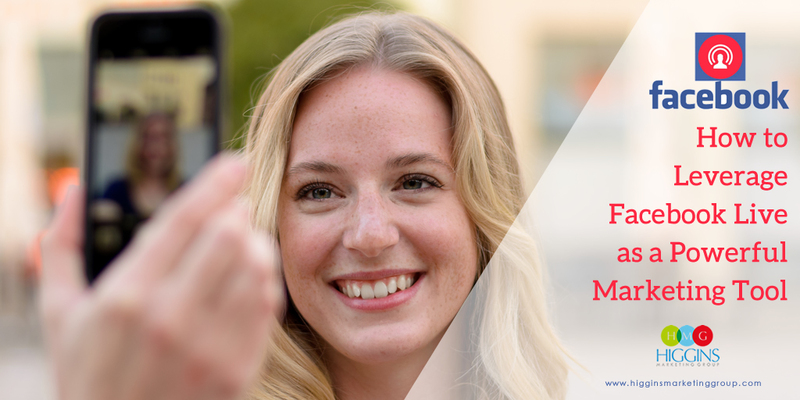 There are no long-term agreements with Facebook and you can spend as much or as little as you’d like… so there’s really no reason NOT to give it a try! If you’re not sure where to start or need an expert to take your Facebook campaigns to the next level, our team would love to help. Visit our Facebook Advertising Management page for all the details and an offer to receive 50% off your campaign setup fee!